The CWI-DCP110 is a 1600 cfm portable collector with a 2 HP/9 amp 220 volt motor with a removable safety start switch. High performance filtration is performed by a washable 2 micron upper filter bag and a lower reusable cloth bag with a viewing window to monitor dust collection levels. It seems most competitors in today’s market supply machines with a replaceable plastic lower bag. Customers very quickly learn that these plastic bags are very expensive, damage easily, are difficult to install/remove and just don’t last. 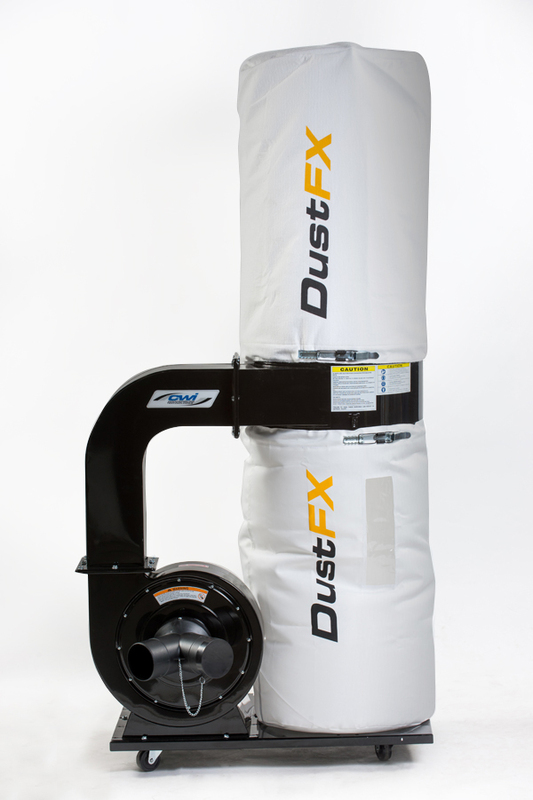 Both our top and bottom DustFX cloth bags use a quick release spring tension aluminum bag clamp that slides though a fully sewn clamp holder in the bag itself to make a perfect dust seal as well as making removal/replacement of the bags a breeze. 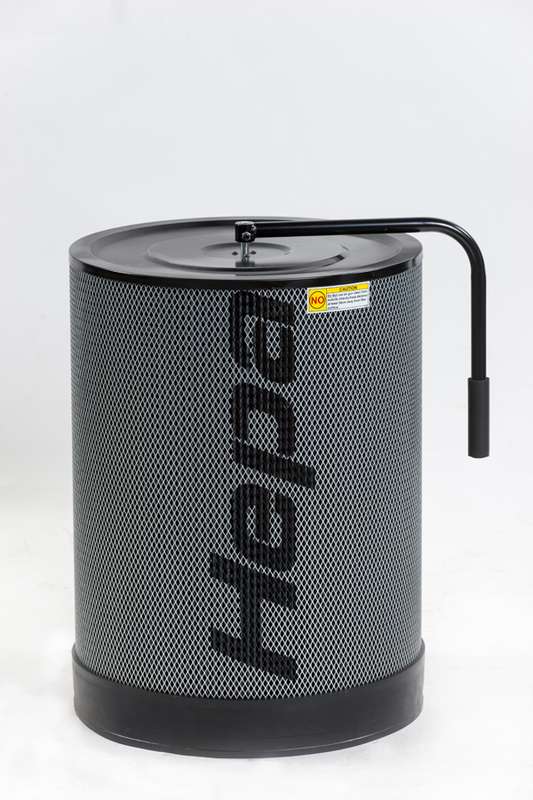 The DCP110 can also be upgraded to an optional Hepa canister upper filter at any time. Another major advantage to DustFX dust collectors is the use of a balance machined cast aluminum impeller for improved performance. Not only does aluminum not produce sparks from accidently sucked up screws or other metal objects, but also because of the machining process the cast aluminum impeller runs smoother and quieter. 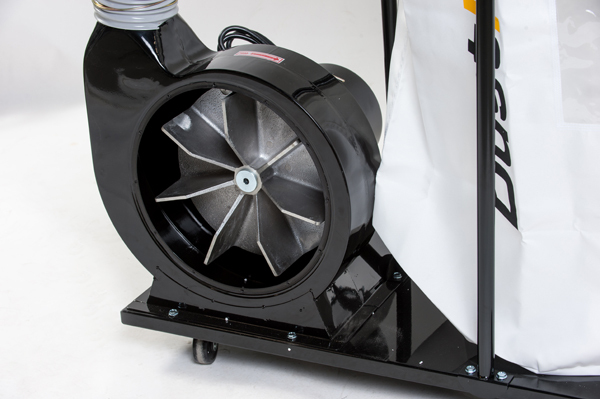 The CWI-DCP110 utilizes a 12” fin diameter spacing with 3.5” long fins to create excellence in performance with a 6” dust inlet which features a screen to block large pieces of wood from damaging the impeller. A 6” adaptor to dual 4” dust inlets is included with the machine. Sound level is only 85db at 10 feet from the machine. For portability the machine features four multi-directional casters to make movement around the shop with ease. DustFX not only talks about their quality and advanced performance they also back it up with a five year home use warranty. High Performance 2 Micron Upper Filter Bag 19.5” Dia.